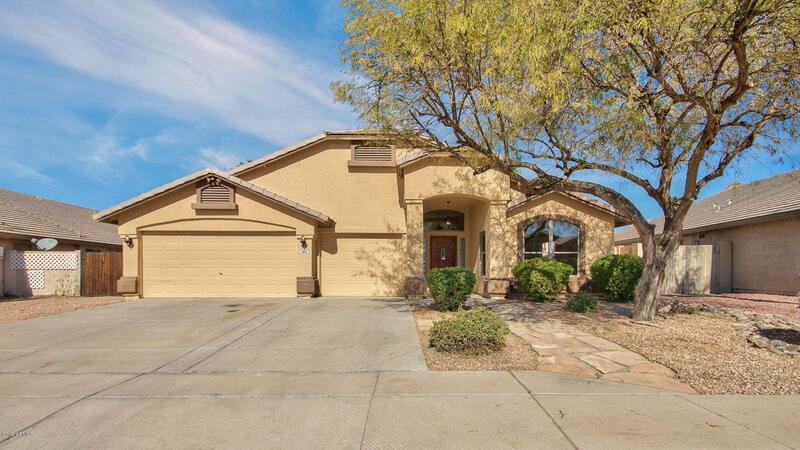 Move in ready 4 bed 2 bath Mesa home! 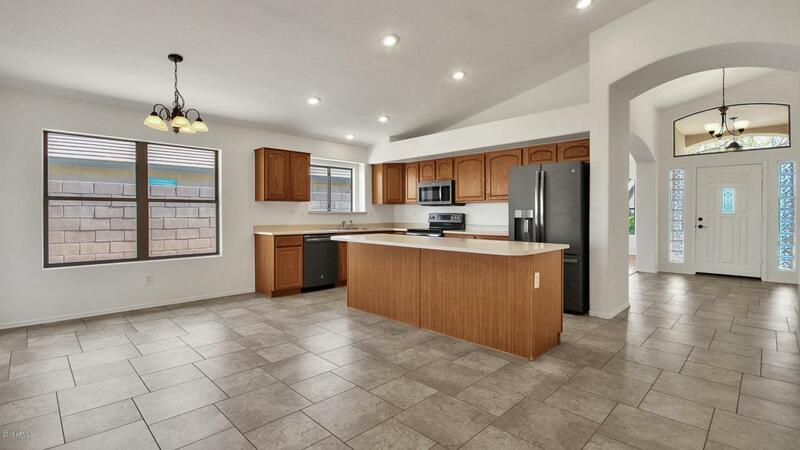 Beautiful laminate and tile flooring throughout, vaulted ceilings in every room, formal living/ dining area, and open kitchen with upgraded slate appliances, center island, convection oven, and large walk-in pantry. 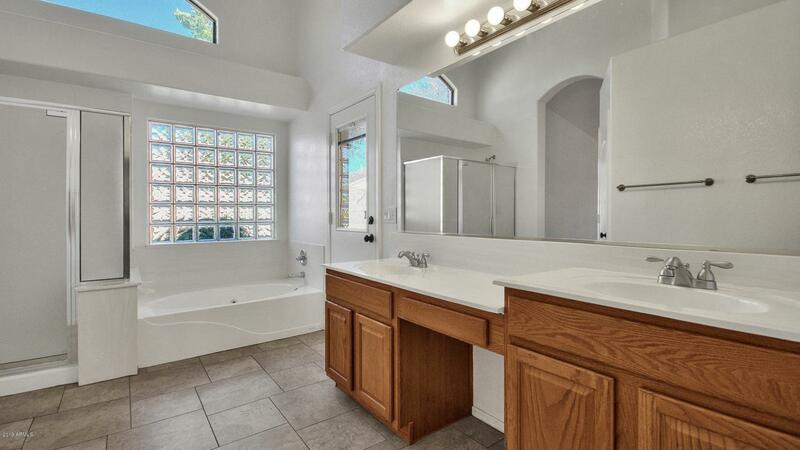 Spacious master suite boasts dual vanity, separate tub and shower, and large walk-in closet. The home also offers a laundry room with plentiful room for storage, three car garage plumbed for utility sink, RV gate, NEW water heater and two HVAC units (16 SEER & 12 SEER). Fresh neutral paint and updated fixtures and fans throughout. Unwind under the covered patio and enjoy the serenity this expansive backyard has to offer, kids and pets will enjoy the grassy area. 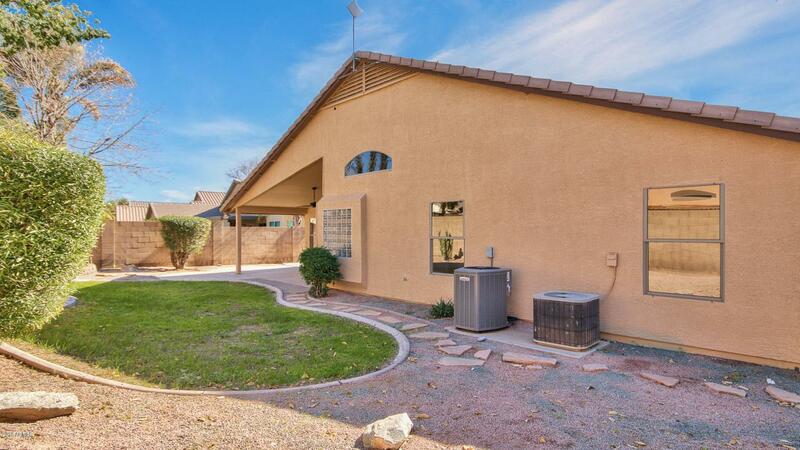 Great location close to freeways, dining and shopping. Don't miss this one!